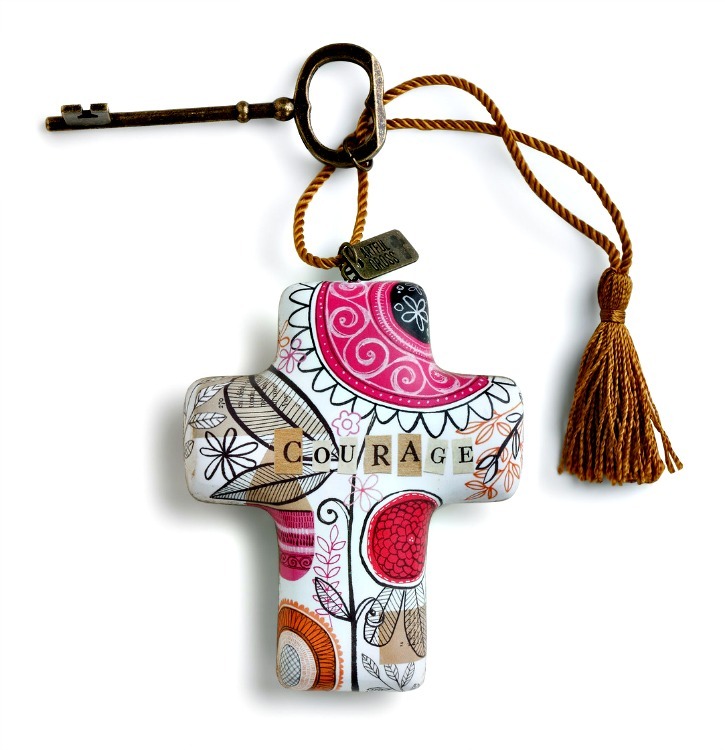 Cross Sculpture in joyful design features uplifting message of spiritual Love and Support. Perfect Gift to express Love and Faith. Cross can hang or stand with attached key easel. Made of Resin, Paper, Nylon and Metal. Measure 4" H.